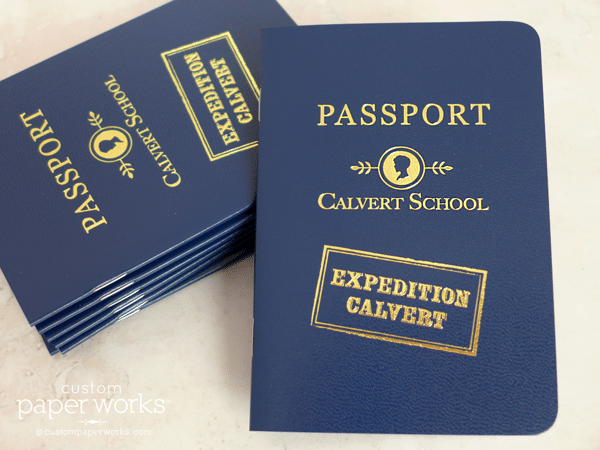 These 20-page Passport Booklets were created for a primary school geography program with a long-term vision in mind. 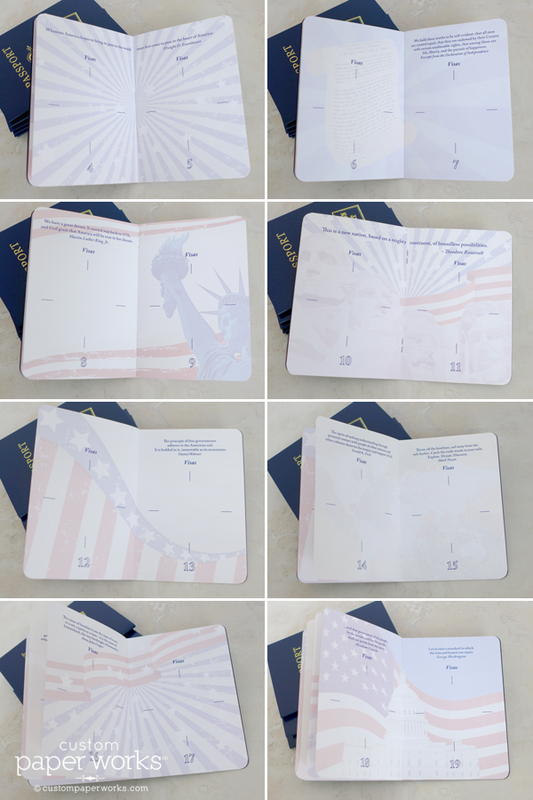 Starting in first grade, students will study at least two countries each year and receive a stamp in these specially-created passport booklets upon completion of each. The program continues through fifth grade – so upon graduation to middle school, the students will have a fun keepsake that serves as a reminder of their studies and fosters a continuing interest in exploring the world. 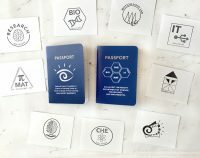 Designed to somewhat mimic a real passport, but simplified to appeal to a younger age group, each spread features a colorful image and inspirational quote. Heavier paper was used for durable inside pages. 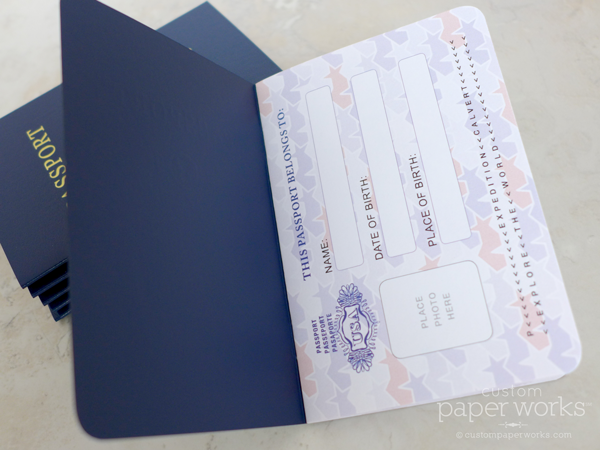 This passport is 20 pages (plus covers), but our passport booklets can easily hold up to 52 pages if needed. 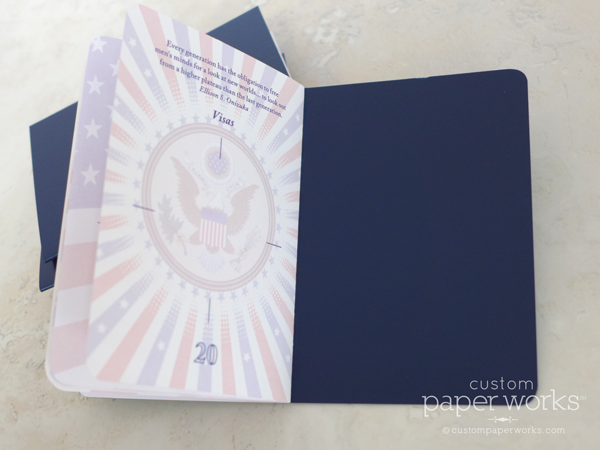 Contact Custom Paper Works below to create a custom passport booklet for all types of uses!